Lapras in game: 3,063 Who? Important notice! Pokemon Lapras is a fictional character of humans. 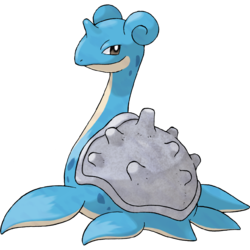 Lapras is a large sea creature that resembles a plesiosaur. It has a spotted, blue hide with a cream underside. Its neck is long, and it has large black eyes. There is a short horn in the middle of its forehead and curled ears placed farther back on its head. Instead of legs, it has four flippers with the foremost pair being larger than the hind. On its back is a heavy, gray shell covered in blunt knobs. Lapras is a gentle, helpful Pokémon that enjoys ferrying people across bodies of water. However, this docility has made it an easy target for hunters, who have nearly driven it to extinction. An intelligent Pokémon, it is able to understand human speech. It has been known to travel the seas in large pods. To keep in touch with other of its kind, it sings enchanting melodies. 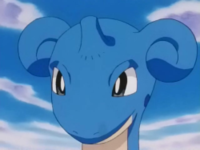 In the anime it was shown that Lapras is able to develop psychic abilities such as telepathy. Lapras is native to the seas. In The Lost Lapras, Ash and his friends saved a baby Lapras from a trio of thugs, and then again from Team Rocket. Ash captured this Lapras and mostly used it as transportation between the islands of the Orange Archipelago. Lapras also took part in Ash's Gym battle with Danny from Navel Island to get his second Orange League Gym Badge, the Sea Ruby Badge, in Navel Maneuvers. It was returned to its family in Viva Las Lapras. 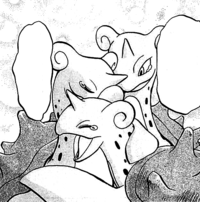 Ash's Lapras made a return appearance in Lapras of Luxury along with its herd and later became the leader of them. 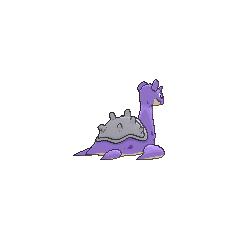 Lapras first appeared in Holiday Hi-Jynx. This one helped Ash and his friends reunite a Jynx with Santa Claus. This Lapras was able to talk via telepathy. In Putting the Air Back in Aerodactyl!, multiple Lapras appear when Crystal whistles. Solidad owns a Lapras, which debuted in May, We Harley Drew'd Ya! during the Performance Stage of the Kanto Grand Festival. It was later used in a two-on-two Contest Battle along with Butterfree. 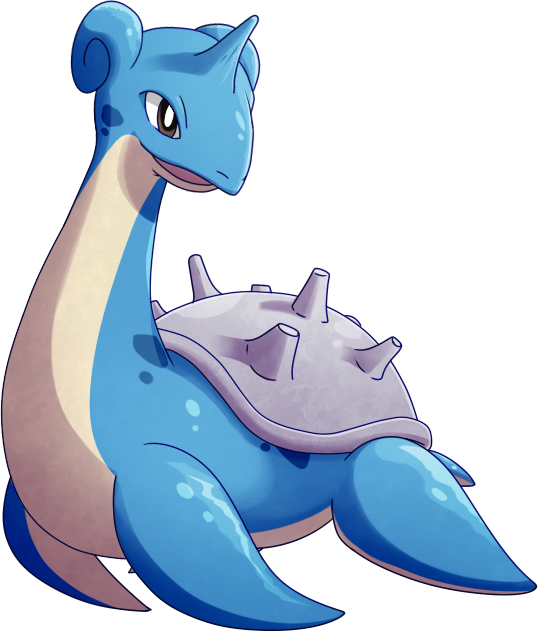 Lapras appeared in Pokémon Mystery Dungeon: Explorers of Sky - Beyond Time & Darkness, taking Team Poképals across the Sea of Time. Three Lapras appeared in Bonnie for the Defense!, including the young Lapras who was taken care of by Heidi, Kye, and Jay. It appeared in Till We Compete Again!, during a flashback. Three Poké Ride Lapras appeared in SM005. A Lapras appeared in a fantasy in Who Gets to Keep Togepi?. Multiple Lapras also appeared in Celebi: Voice of the Forest and Pokémon Heroes: Latios & Latias. A Lapras appeared in Dueling Heroes. A Lapras parent along with its child appeared in The Legend of Thunder!. Pryce of Mahogany Town owns multiple Lapras in Nice Pryce Baby. A Lapras appeared in the beginning of Zoroark: Master of Illusions. 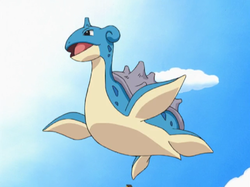 Three Poké Ride Lapras appeared in SM005, during a fantasy. Lorelei used a Lapras against Blue's Alakazam in The Challenger and lost. In Lapras Lazily in the Yellow chapter, Blue is seen capturing a wild Lapras and giving it to Evan in a flashback that dates to around the same time as Red's first fight with Giovanni. 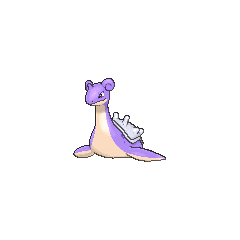 Another Lapras appeared in The Last Battle XIII as one of the Pokémon sent to help the fight in Ilex Forest. 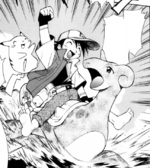 The most notable role of Lapras in Pokémon Adventures was being one of the Pokémon of Pryce. In his youth, Pryce lost two of his favorite Lapras, La Pris and La Prus, in an avalanche just as the Egg borne by them hatched. Unable to get over his loss, Pryce swore to save his Lapras and thus began researching into time travel, setting the events of the Johto saga in motion. Eventually, Pryce was able to capture Celebi and enter time, only to lose Celebi as the Poké Ball containing it was shattered, causing him to be unable to override time any further. However, the baby Lapras, La Glace, was able to enter the time in which Pryce's Lapras were separated, and the family enjoyed a happy reunion while Pryce was eventually lost in time. A Lapras was used by Hazel which was owned by Marryn. Received from a person in Silph Co.
Lapras has the highest base HP of all Ice types.